When a local girl goes missing, the Midnighters try to find her before law enforcement descends into town. 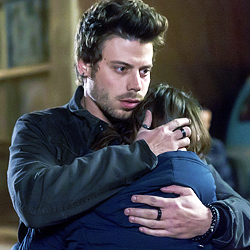 Manfred (François Arnaud) and Creek (Sarah Ramos) discover Aubrey’s murder was not an isolated incident — someone or something is killing young women in Midnight. In the race to find the missing girl, Bobo (Dylan Bruce) resolves to get justice for Aubrey. Lem (Peter Mensah) and Olivia (Arielle Kebbel) join the hunt, not knowing if the killer is human or supernatural. Complicating matters, Fiji (Parisa Fitz-Henley) is haunted by a demonic entity and seeks answers from the Rev (Yul Vázquez) while Joe (Jason Lewis) struggles to maintain the secret that protects his family. Can’t believe we’re already halfway through the season! 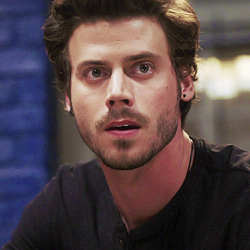 I have updated the gallery with 328 high-resolution screencaps from the very intense latest episode of Midnight, Texas. 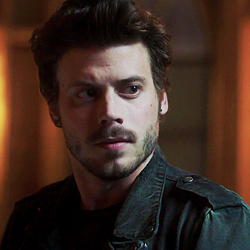 Manfred’s (François Arnaud) growing relationship with Creek (Sarah Ramos) is threatened when his con-artist past finally catches up with him and the mysterious Hightower finds him. Olivia (Arielle Kebbel) agrees to help Manfred, but when she and Creek learn the surprising truth about what Manfred is running from, they realize Manfred is not the man Creek thought he was. Meanwhile, Bobo’s (Dylan Bruce) budding romance with Fiji (Parisa Fitz-Henley) takes a surprising turn that puts her in danger. Peter Mensah also stars. And it was Olivia’s turn last Monday night! It’s great that we get to see all these characters’ backstories one by one. I have updated the gallery with 298 high-resolution screencaps from the latest episode of Midnight, Texas. 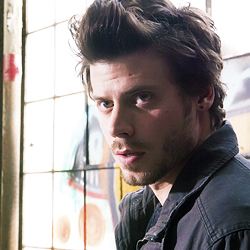 Manfred’s (François Arnaud) ability to see the dead leads him to uncover an ancient supernatural who seduces and feeds on men. To protect their town’s supernatural anonymity, Manfred, with the help of Fiji (Parisa Fitz-Henley), Lem (Peter Mensah), Joe (Jason Lewis) and Creek (Sarah Ramos), venture out of the safety of Midnight to a roadside bar to stop the supernatural killer. Meanwhile, Bobo (Dylan Bruce) must confront the dangerous bikers who threaten to expose his past. 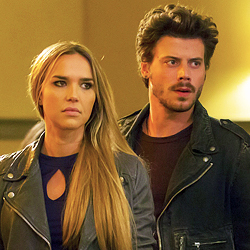 While carrying out a hit, Olivia (Arielle Kebbel) discovers an unlikely link to her father. I have updated the gallery with 238 high-resolution screencaps from the latest episode of Midnight, Texas. This show does not disappoint! A deadly nest of vampires arrives in Midnight and it turns out they’re old friends of Lem’s (Peter Mensah) eager to reunite. 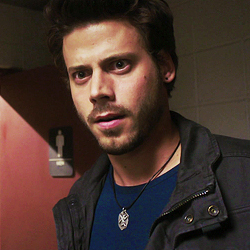 Manfred (François Arnaud) suspects there’s more to their arrival and joins forces with Olivia (Arielle Kebbel) to uncover the real story while Creek (Sarah Ramos) prepares for the worst. Elsewhere, Fiji (Parisa Fitz-Henley) and Bobo (Dylan Bruce) hatch a plan of their own in case the vampires are up to no good. Meanwhile, Joe (Jason Lewis) confides his suspicions about the veil to hell opening in Midnight to the Rev (Yul Vázquez).